Designed as part of the 2018 Commonwealth Games Sports Precinct, Carrara Elite Fields was developed to provide an elite class track & field practice surface during the games. Today the playing field provides an additional training venue for the Gold Goast Suns AFL team as well as a high level district sports facility for the Gold Coast Council. 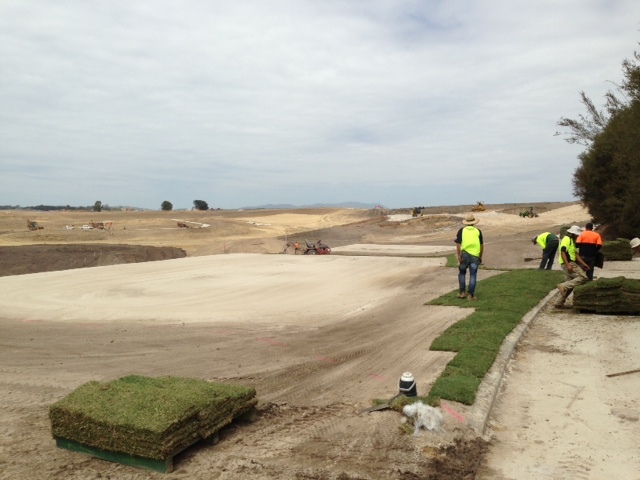 We installed a lay flat drainage system across the base as well as all overlying gravel & sand profile layers. A state of the art valve in head irrigation system was also commissioned. The field was line planting with couch sprigs, with a very successful strike ensuring full cover within 12 weeks. Set with the unique challenge of constructing an elite level playing surface on top of a car park this project has provided IGS with a dynamic multi-use sports facility with a combination of AFL, Natural turf cricket wickets and synthetic cricket wickets. We worked around a series of site and building restrictions to achieve a positive outcome for the client, including machinery weight restrictions for all machinery on top of the car park roof slab, co-ordination with water proofing and limited site access in a dense residential area. Cluden Park Racecourse in far north Queensland has been a hub of regional racing in the region for decades. 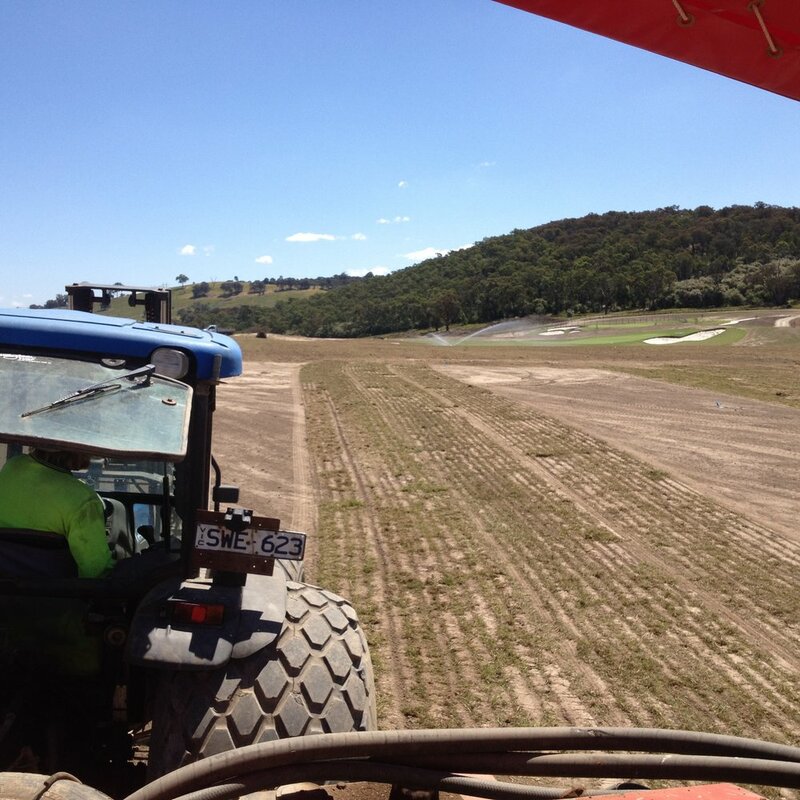 Working alongside Epoca Constructions, we were engaged to re-construct the entire course proper with a full re-design of sub surface drainage and transition to a fibre reinforced sand racing profile. 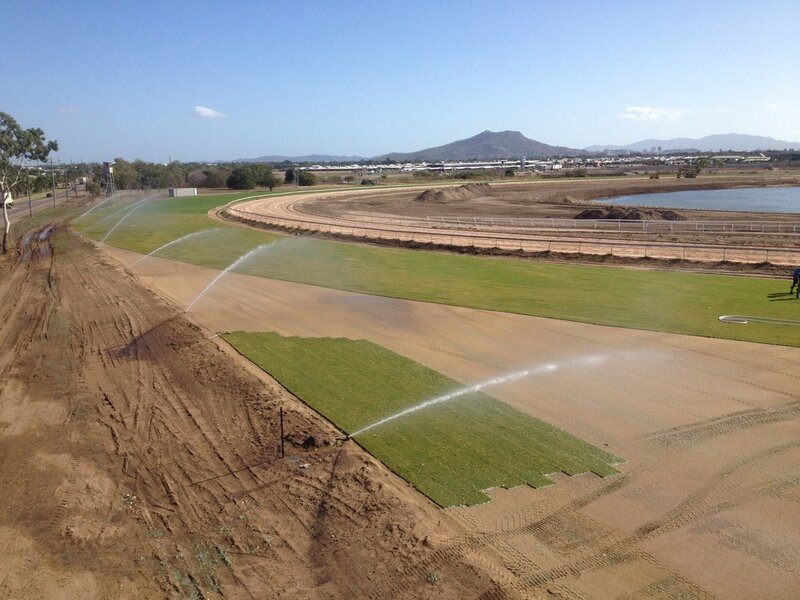 Undertaken on tight time frames to return to racing for the Townsville Cup, the end result has provided the TTC with a state of the art racing surface that has performed week in, week out throughout a busy schedule. Evergreen Turf were approached to design & construct a revitalized entry landscape at the Sydney Cricket Ground to enhance the members and visitors experience. Working in collaboration with Orchard Design. our Landscape Architect developed a promenade entry treatment featuring time less, rustic materials such as rammed earth feature walls, rusted corten steel & pressed brass features. We oversaw the construction of all landscape works, including specialty trades, masonries and planting. 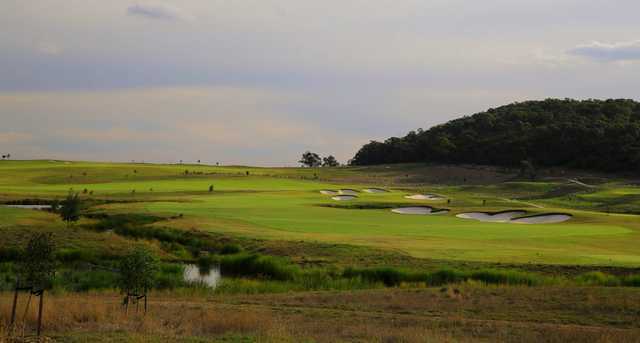 Following the relocation from their original Doncaster site, the Eastern Golf Club embarked on a new Greg Norman designed 27 hole development in Yering, located in Melbourne's outer east. We were contracted to supply & install all of the turf for the project, including line planting all fairways, solid turfing all green surrounds and tees with Grand Prix Couch. 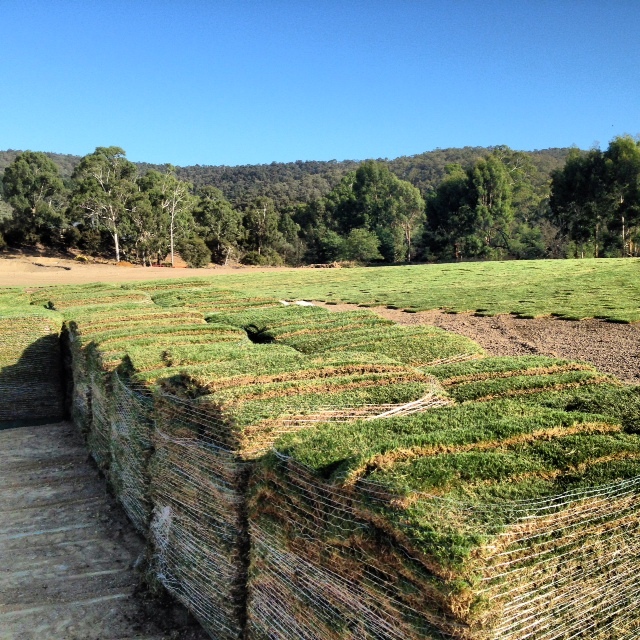 Home to the GWS Giants AFL team, we have been sole turf contract suppliers for this venue since 2015. Our Ready to Play Matrix turf system provides the stadium with flexibility in its programming and usage with the Sydney Show hosted at the venue annually. Hosting an agricultural event of this scale on a premium turf surface requires a premium turf replacement system that is not only fit for elite sport use but can be installed under extreme time constraints. We have replaced significant portions of the field using our Matrix turf system with AFL fixtures playing on the oval within days. 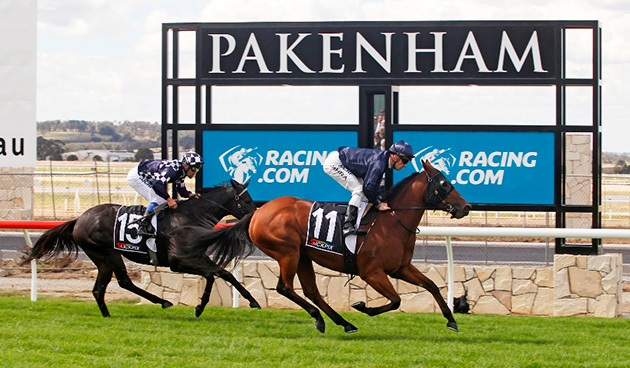 Arguably our biggest project to date, the redevelopment of the Pakenham Racecourse to a new green fill site in Tynong was a monumental project. 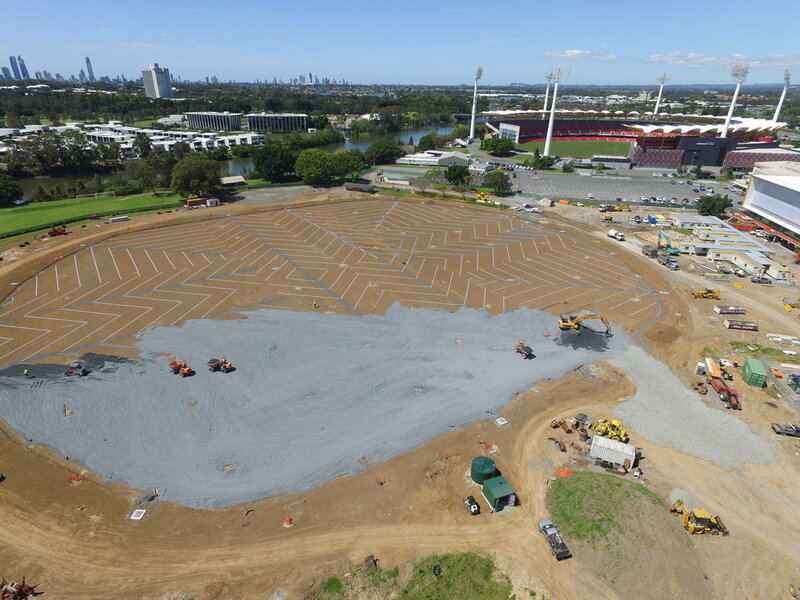 Over 92,000m2 of fibre reinforced turf profile was constructed, built on a free draining gravel carpet and sand layer system, including a full sub-surface drainage system. Overseeing all aspects of the course proper construction, the racecourse has been open since 2014 and has warranted high praise from leading jockeys and trainers for the consistency and performance of the track surface. In a historic occasion for Australian sport the Major League Baseball Association held its Opening Series in Australia for the very first time. We we entrusted with converting the hallowed SCG surface into an international standard baseball diamond playing field for some of the highest payed athletes in the world, then reinstating the surface back to its original state for AFL competition just days later. This project won international award for stadium project of the year.